1. The Red Sox continue their swing through the National League Central today with the first game of a series against the Chicago Cubs that is completely and utterly without symbolic and historic significance. That’s right this series has no special meaning. None. 1. Well, the St. Louis Cardinals are finally showing some life against the Red Sox long after the World Series spotlight has dimmed and the media hordes have drifted off. Why the difference now? Perhaps the World Series logo on the jerseys set their hitters off balance. Yes, a two game losing streak to a very good team in June is relatively unimportant, but Jose worries that this series is highlighting the difference between this year’s Sox team and last year’s championship edition. The reason the Red Sox had such an easy time in last year’s World Series was their starting pitching. We had great starters, they had merely good starters. Over the course of the season our rotation was not so much better than theirs, but in the October chill, our great pitchers pitched great and their good pitchers pitched poorly. (Note: Okay even our bad pitchers like DLowe, pitched great). What troubles Jose is that when he looks at the Red Sox rotation right now, he sees the St. Louis rotation from 2004. Five perfectly good pitchers, any of whom he is happy to have in his rotation, but who among them would you like to have pitch Game 1 of the World Series for you? 1. Yesterday, a friend of Jose’s forwarded an inquiry to him from a discussion board at her office. "We are almost done devising this thing, and it actually seems to work.However, we're hoping to find a Red Sox or baseball connection for an odd feature we're faced with. The dance ends with parallel reels of 3 on the sides, which flow perfectly from the preceding figure. The women need to end it either awkwardly, as per RSCDS standard, or do a twiddle, which isn't standard but is more fun. We're inclined to go with the twiddle, but would love to justify it with some symbolism. So, can you (or any of your useful connections) think of a connection for a hook, or a twiddle, or taking a long path, or any other way one could describe doing the extra loop on a reel of 3? Of course, a manager gives a pitcher the hook. Can we work that in? Is it an appropriate way to end the dance?" Here’s Jose’s take on it… Huh? As you know, Jose has made a blogging career out of connecting pretty much any human endeavor (note: wrestling, politics, crochet, fly fishing) to Red Sox baseball, but this may be beyond even his formidable powers. Nevertheless, Jose will give it a try. But before he starts, Jose needs to define the terms here. The posting provides a definition for “twiddle” and “reel,” but not “RSCDS.” Let’s look it up. Hold on for just a moment more… There. It stands for Royal Scottish Country Dance Society. Good thing Jose looked it up; his best guesses were that it stood for either Red Sox Castoff Donnie Sadler or Red Sox Calamity Dale Sveum. Now that we’ve defined our terms let’s dive deep into the symbolism. Now, since this is a “folk dance” the absolute easiest thing in the world would be to tie it in to closer Keith Foulke, for whom folk dancing is named. If we looked for a symbolic move based on Foulke’s performance this year, it would almost certainly involve the men spinning the women into each other and the whole group ending up in a bruised mess on the ground. 1. 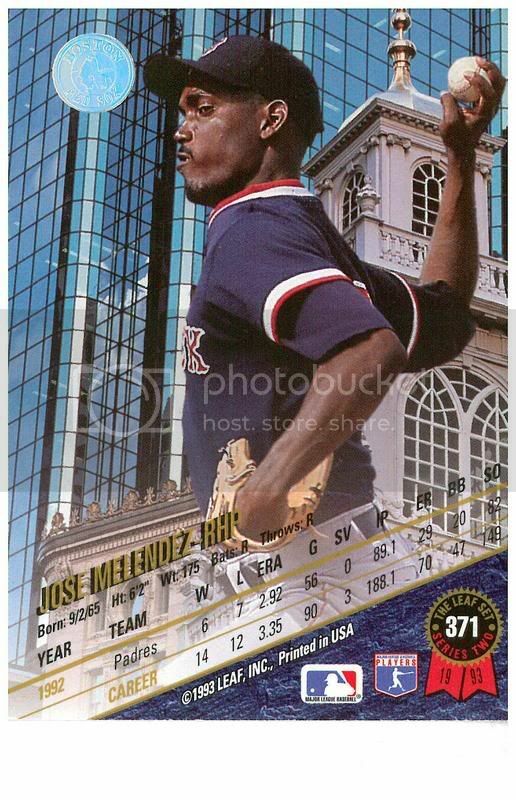 With yesterday’s Red Sox win, Jose’s 2005 record climbed to an impressive 3-0 prompting whispers about whether he might be a dark horse candidate for the All-Star team and questions as to whether his diminished innings in the early part of the season will prevent the woes that led him to pick up losses in his final five appearances of 2004. While Jose’s record as a patron has been terrific, his record at the Fenway attendance quiz has been the mirror image, as Jose fell to 0-3 yesterday. Jose used to get attendance quizzes right most of the time, not as often as his friend Joel, who claims to have gotten every quiz he has seen right for 15 years, but still often. Also unlike Joel, Jose is not making things up. But lately, Jose just can’t get the job done. Thankfully, Jose has a simple and logical explanation for his futility – the new Red Sox ownership. Yes, yes, Henry, Werner and Lucchino have won a World Series, expanded Fenway and improve concessions, but what they have done to the attendance quiz is just unconscionable. Yesterday, the official attendance was 35,008. The other final choice in the attendance quiz was 35,067. That’s a difference of 59. Fifty-Nine!!! That’s less than two-tenths of one percent. Tenths of a percent may mean something for interest rates, or stock prices or whatever the heck John Henry deals in, but they mean nothing in attendance quizzes. Nothing!!! Jose believes in high standards, he opposes the soft bigotry of low expectations, but expecting fans to make a distinction that fine in the attendance quiz is setting them up for failure. It is like asking Sox manager Terry Eurona to pick a utility man from a field consisting entirely of Ramon Vasquez and Cesar Crespo. Yes, there is some infinitesimal difference, and one must be better than the other, but the differences are indistinguishable to the naked eye. Whether one is right or wrong is strictly luck. D. Johnny Damon’s batting average out to five decimal places. All of those should be somewhere between 30,000 and 37,000. 1. Earlier in the week, Jose sent this very link to a friend of a friend, let’s call her Liz, who works in publishing and had suggested that she might be able to send KEYS on to someone in the company who keeps an eye on blogs as part of a search for literary talent. (Note: Whoops, Jose forgot that when one uses a “let’s call her” one is supposed to make up a name. Nuts.) Then at a barbecue last night Jose got the heartbreaking news. Liz couldn’t understand the KEYS at all. Not the wrestling analogies, not the comic book material and certainly not any of the meager baseball commentary. And it made Jose sad. Not sad because the odds are that his slim chances of being picked up by a mid-major publishing house have dwindled to none. Jose knew that dream was as distant as the Sox winning the Series. (Note: Wait… Crap… Jose might have had a chance.) No, he is sad because of what this revelation says about the state of liberal arts education in America. This woman went to the same private university as Jose, and yet she came out without even the most rudimentary knowledge of the history of WrestleMania or the differences between the three Green Goblins. Can the curriculum really have changed so much in the two years that separated them? Maybe it’s that Jose was in an interdisciplinary program which combined disciplines like wrestling, television and literature? Sure, she is extremely knowledgeable about literature, Latin and poetry, but can those alone truly compensate for inadequate knowledge about the card at the original SummerSlam? It just speaks to a shocking unevenness in our universities. Jose, hopes, he desperately, desperately, hopes that Boston University’s newly appointed president, Robert Brown takes a serious look at placing more emphasis on baseball, wrestling and comic books in the core curriculum. But what does all of this have to due with baseball? After all, this is an inaccessible baseball blog, not an inaccessible something else blog. Well, Jose is worried that an improperly balanced education may be endangering the senses of humor of future generations and endangering their ability to come up with suitable bleacher patter. (Note: Did Jose succeed in making a KEY that has nothing to do with baseball about baseball? You make the call!) You know bleacher patter. The ongoing dialogue consisting largely of obscure details that two knowledgeable fans are able to maintain throughout the course of a game with the help of the demon rum. Bleacher patter is completely contingent upon a broad based education. As Jose’s friend Karl once pointed out upon hearing a fan yell “Hey, ump if you had one more eye, you’d be a cyclops,” a good sense of humor (note: and by extension good fandom) is clearly rooted in a classical education. If we do not invest in our young people now, who will be the fans of the future? Who will compare Derek Jeter to Narcissus, or Ellis Burks to Spiderman villain the Lizard? Jose weeps for the future.